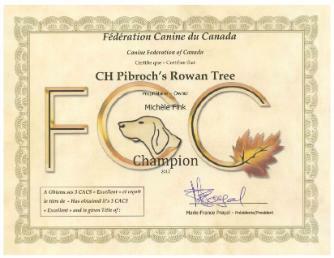 Rowan got her International Championship during the weekend of September 8 & 9, 2012 in St-Louis, Québec. 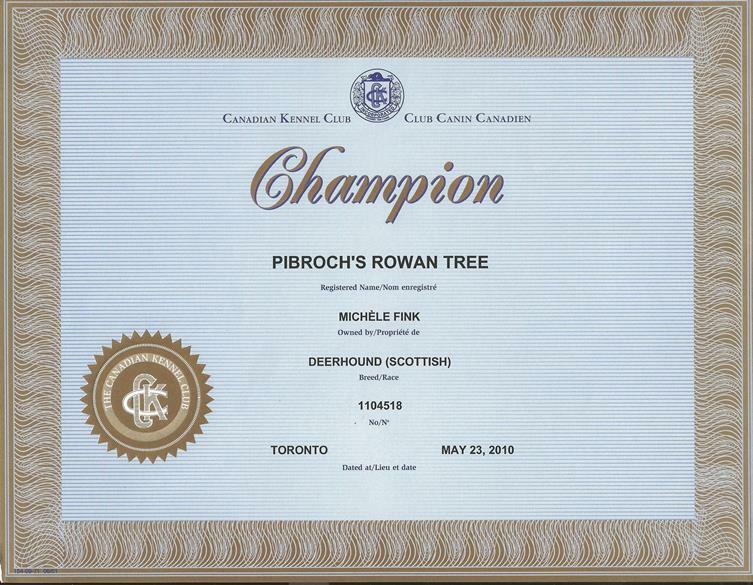 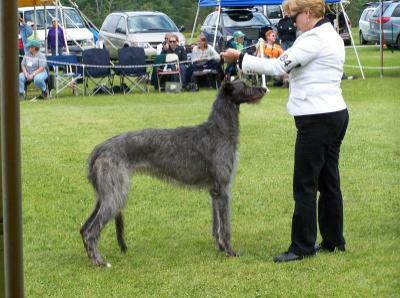 She also got Reserve Best in Show with Yannick Goosney as handler at the Fédération Canine du Canada show . 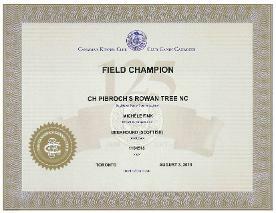 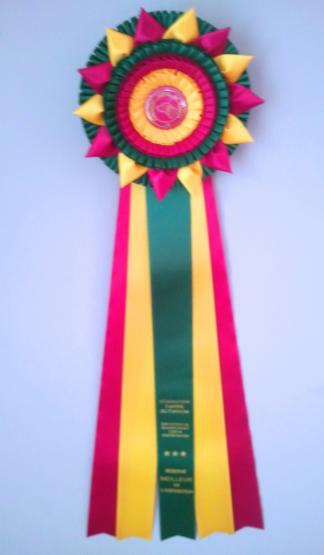 Rowan 2012 Reserve Best in Show in St-Louis at the FCC show. 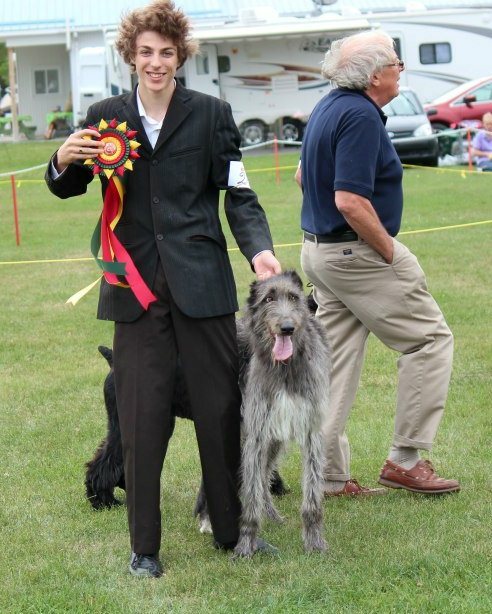 Yannick Goosney, Junior Handler walking away with Reserve Best in Show received by Rowan at the FCC show in St-Louis on September 8, 2012 under judge Rita Reyniers. 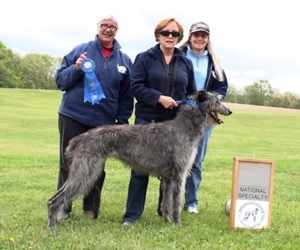 2012 Deerhound National - Frankenmuth, Michigan - Rowan gets 1st place in the AKC coursing and 4th place in the ASFA coursing as well as 2nd place in the conformation American Bread Class. 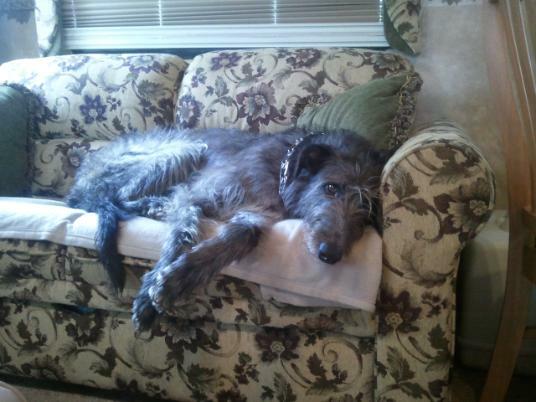 Rowan resting in the trailer after a good day of lure coursing! 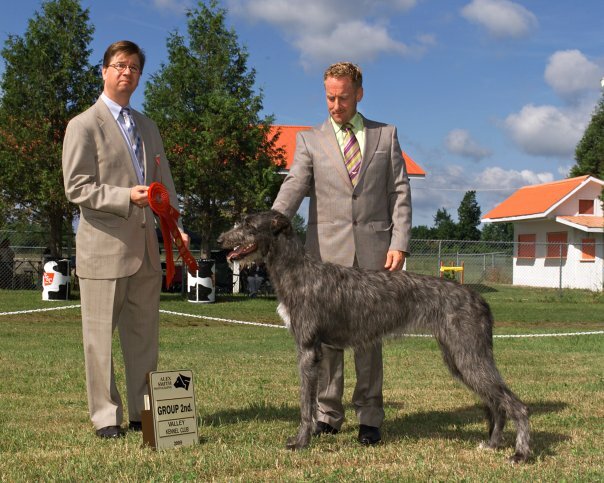 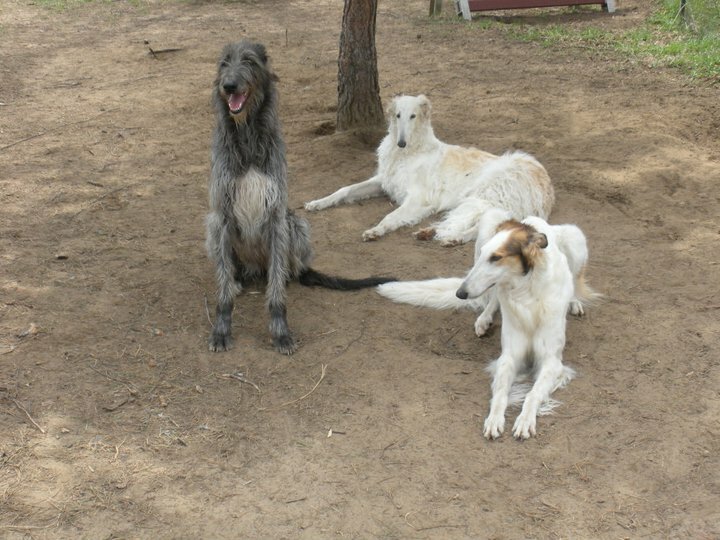 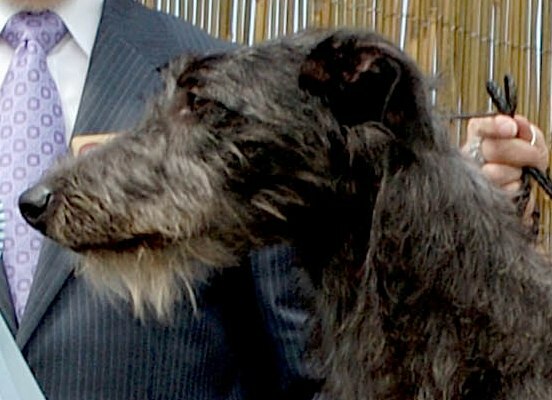 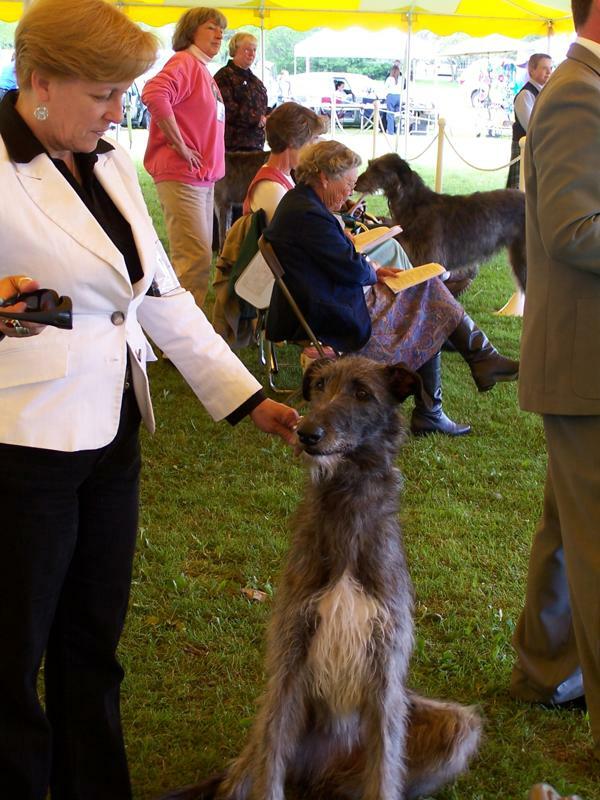 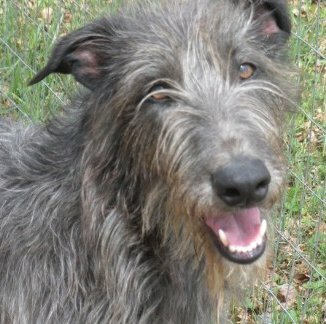 Heres another race at the Scottish Deerhound Nationals in Vermont 2010. 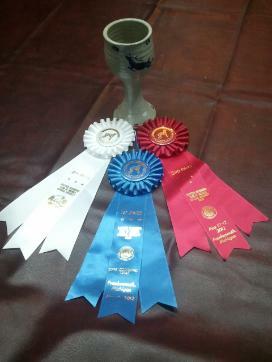 The hounds and myself had a great time!!! 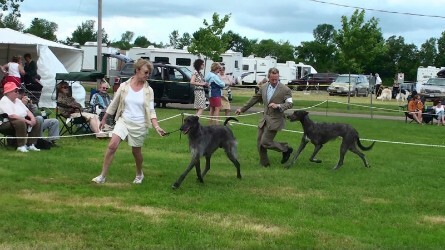 This is the 200 yard straight race. 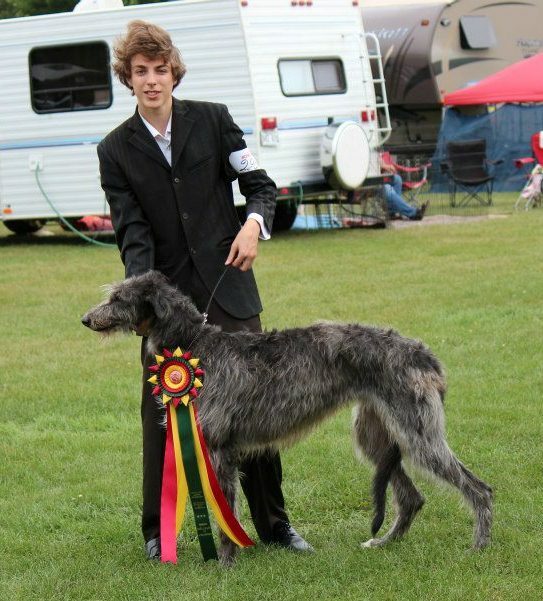 LURE COURSING: Rowan is enthusiastic and thouroughly enjoy`s running after the lure whenever the opportunity presents itself. 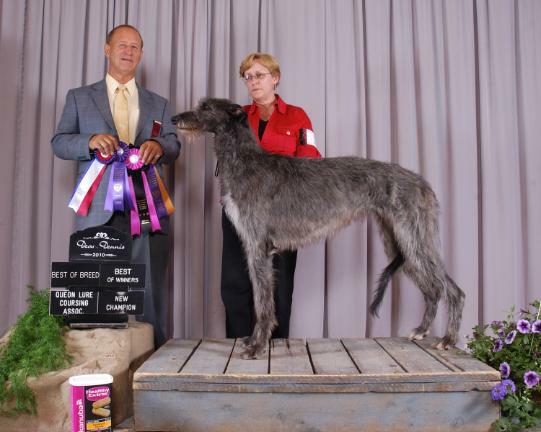 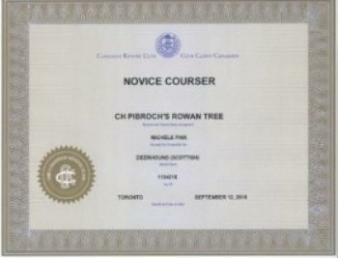 She received a first placement in Flamborough at the OLCA and 2 second placements. 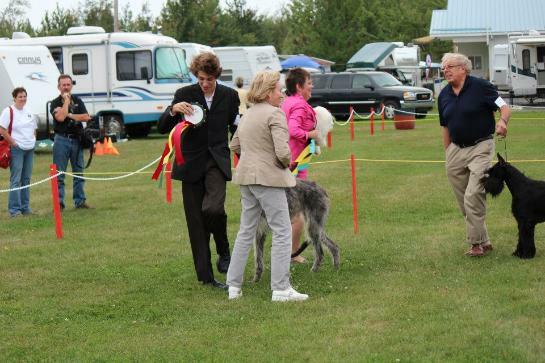 Left - CASA field trial June 2010 at the Kars Recreation Center near Ottawa. 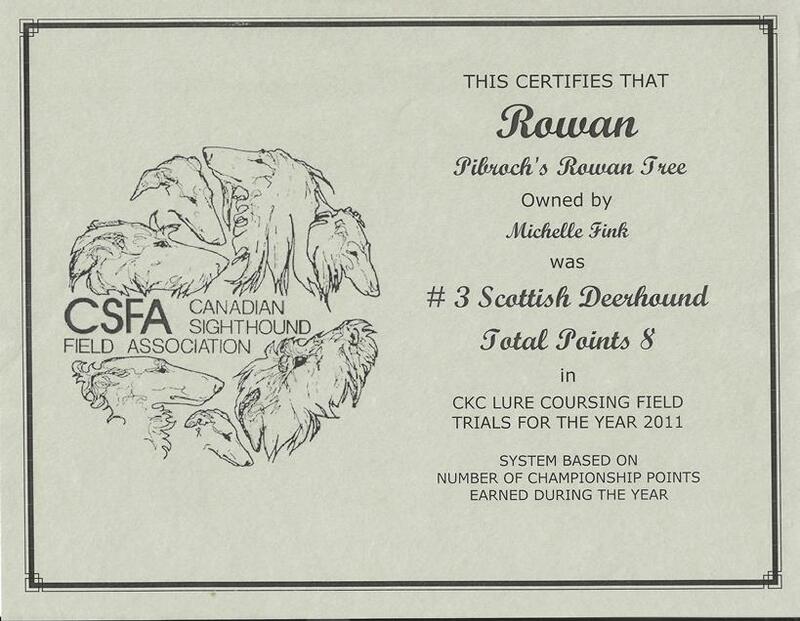 Rowan is in the yellow blanket against Susan Trow's Rockwood and Legacy.